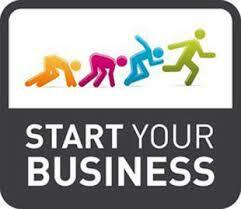 Have you been thinking of starting a business of your own? No matter what exactly you plan to do – open an online shop to sell you hand-made jewelry, a web design studio or maybe start a custom essay service – the first thing you need is to ask yourself several important questions. Question 1 : Who are my clients? This is the most important question that will determine how successful your business is going to be. Many startups fail before even starting properly, because their owners know nothing about their target audience. What do your clients look like? What kind of habits, needs, dreams, desires, fears do they have? Make a portrait of your target audience and think all the details through. Think of what kind of problems will your startup solve for your potential customers. For example, if your startup is an online top writing service, you know that your target audience is mostly students who are afraid of not completing their paper writing in time or not sure about their writing skills. They want to get quality custom papers for their money. Question 2 : Why is my project valuable? After you find out what interests and worries your potential clients, ask yourself this: you’re your startup solve their problems? What kind of needs does it satisfy? Try to put your answer into one sentence: why would they choose your product or services, and not those offered by competition? Question 3 : How should I talk to my clients? Think of how exactly you are going to interact with your customers and invite them to buy your product/services. Additionally, think of what kind of channels you are going to use to advertise what you offer. What would be the most convenient way for your clients to receive information about your product? It may be Facebook, email, radio, TV… or all of it at once. Question 4 : How will I keep in touch with my clients? Think of how you will help your clients if they have any issues choosing the right product or service. Will you provide personal help or use automated service? Or maybe you would choose the option of self-service? Question 5 : What will your sources of income be? Try to describe how exactly will your project bring money. Most young entrepreneurs tend to discard this question by saying that “they just sell their products/services”. But in fact, there are multiple ways of receiving income aside from selling your products and/or services. For an instance, user’s fees, subscription fees, rental income etc. Don’t limit yourself by focusing on a single way to make money. Question 6 : What are the main resources I am going to use? Think of whether you are going to hire employees and if you want to use physical and intellectual labor. What if you will need a whole manufacturing site? Divide all resources into several categories: physical, intellectual, human, financial. And don’t forget about that thing called branding. Many startuppers tend to underrate it, but it’s important. If you really put some effort into creation of your product/company image, you’ll increase your income. Question 7 : What do I have to do to attract clients? List all the steps that you will have to make to let your clients know about your service/product and make them buy it. Spend some time thinking this through and make the full list of actions that will help you to develop your project from zero to entry into market. Question 8 : Who will I work with? Every startup needs investors and partners. Investors will, obviously, invest money in your project and partners will bring new clients. So develop your contacts with other companies. For starters, make a list of potential partners and suppliers, as well as a list of resources you’ll receive from them. Question 9 : How much will my product cost? Write down all expected expenses – how much you will spend on development, advertising, resources, main steps etc. And don’t forget to do thorough market research and have a look at the prices your competitors offer. This will help you to form prices for your own products and services. After you give answers to all of these questions, you’ll be atleast able to explain your project to your friends and family. Listen to what they say – thanks to their feedback and advice you will understand your project better and be able to introduce necessary changes and corrections and make it grow, whether it’s custom essay writing or your very own line of clothing.